Just in case you have been taking a prolonged vacation in Okinawa or you are just generally not all that aware of your surroundings, we here at AccessJ would like to remind you that the Japanese winter is upon us. And with winter comes the inevitable realization (or re-realization) that Japanese houses are freezing. One of the major heating sources in Japanese homes is kerosene (toyu 灯油) which is readily available at just about every gasoline stand. However, with the way oil prices are going these, a standard 18 liter tank of kerosene can be a bit of a pain in the wallet. Let's take a look at some pro tips for getting cheaper kerosene. If possible, don't get your kerosene delivered (known as toyu haitsu 灯油配達 or toyu takuhai 灯油宅配). Not only is this more expensive per liter, but you might also have to get into a contract with a local delivery company. The same goes for localities that have roving kerosene sales trucks. Unless you don't have a gas stand anywhere near by or just can't be bothered to leave the house, delivery propane is almost universally more expensive. Gas stations are the largest purveyors or kerosene, with just about every non-highway rest stop stand having some sort of special kerosene fill-up area. However, despite their ubiquity, gas station kerosene is usually not the cheapest option. That being said, some gas stands offer special deals such as giving you a per liter yen discount if you opt to use a prepaid card or point card. 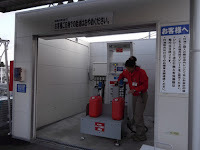 In the case of big gas suppliers like Showa Shell, using a Ponta Card or the Easy Pay key card to buy kerosene will net you a few yen discount. I have seen other local service stations offering incentives such as point card stamps for customers who pay with cash or use pre-paid cards. Interestingly enough, one of the cheapest places to buy kerosene is at a big box "home center." In addition to selling all sorts of DYI supplies, home centers often sell kerosene gas as well. In my experience, home center kerosene is generally 100-200 yen per tank (a tank being 18 liters) cheaper than the local gas station. In addition, some home centers offer discounts if you buy kerosene off season or buy in bulk. 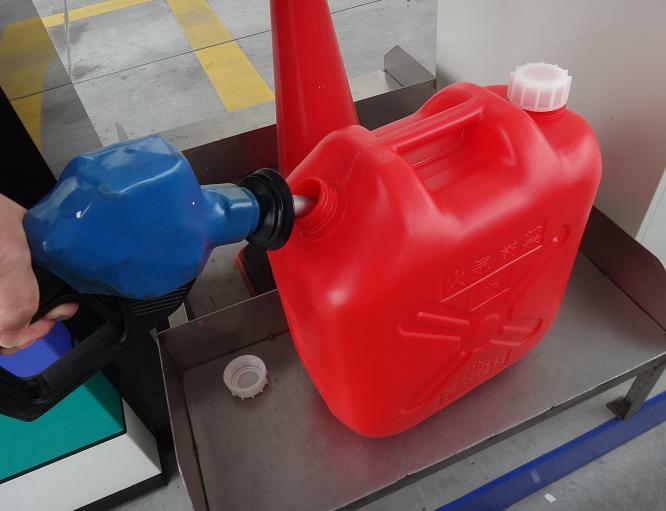 Not all home centers sell kerosene so make sure to inquire inside or look out for a filling station (usually located in the parking lot). Usually you have to buy a fill up ticket at the register or at a designated service desk. Generally, home centers will only fill up red or blue plastic kerosene canisters in common sizes (10, 18, and 20 liters). In addition to your local home center, big retailers like Aeon have started to get into the kerosene game. While there are none in my town, some super markets and shopping centers run by Aeon Corporation have started to sell and deliver kerosene. I have also noticed that there are several liquor stores in my general area that, in addition to selling beverages to warm your bones, will also sell kerosene. The prices tend to be variable but they are at least as cheap or possibly cheaper than your local gasoline stand.